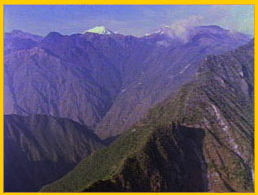 "Land of the Four Quarters" or Tahuantinsuyu is the name the Inca gave to their empire. It stretched north to south some 2,500 miles along the high mountainous Andean range from Colombia to Chile and reached west to east from the dry coastal desert called Atacama to the steamy Amazonian rain forest. At the height of its existence the Inca Empire was the largest nation on Earth and remains the largest native state to have existed in the western hemisphere. The wealth and sophistication of the legendary Inca people lured many anthropologists and archaeologists to the Andean nations in a quest to understand the Inca's advanced ways and what led to their ultimate demise. To imagine oneself living in the world of the Inca, one would have to travel back 500 years into a magnificent society made up of more than 10 million subjects. 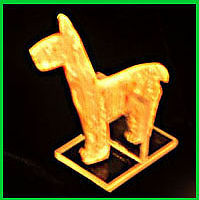 Cuzco, which emerged as the richest city in the New World, was the center of Inca life, the home of its leaders. "The riches that were gathered in the city of Cuzco alone, as capital and court of the Empire, were incredible," says an early account of Inca culture written 300 years ago by Jesuit priest Father Bernabe Cobo, "for therein were many palaces of dead kings with all the treasure that each amassed in life; and he who began to reign did not touch the estate and wealth of his predecessor but .... built a new palace and acquired for himself silver and gold and all the rest." Money existed in the form of work - each subject of the empire paid "taxes" by laboring on the myriad roads, crop terraces, irrigation canals, temples, or fortresses. In return, rulers paid their laborers in clothing and food. Silver and gold were abundant, but only used for aesthetics. Inca kings and nobles amassed stupendous riches which accompanied them, in death, in their tombs. But it was their great wealth that ultimately undid the Inca, for the Spaniards, upon reaching the New World, learned of the abundance of gold in Inca society and soon set out to conquer it—at all costs. The plundering of Inca riches continues today with the pillaging of sacred sites and blasting of burial tombs by grave robbers in search of precious Inca gold. The first known Incas, a noble family who ruled Cuzco and a small surrounding high Andean agricultural state, date back to A.D. 1200. The growth of the empire beyond Cuzco began in 1438 when emperor Pachacuti, which means "he who transforms the earth," strode forth from Cuzco to conquer the world around him and bring the surrounding cultures into the Inca fold. Consolidation of a large empire was to become a continuing struggle for the ruling Inca as their influence reached across many advanced cultures of the Andes. Strictly speaking, the name "Inca" refers to the first royal family and the 40,000 descendants who ruled the empire. However, for centuries historians have used the term in reference to the nearly 100 nations conquered by the Inca. The Inca state's domain was unprecedented, its rule resulting in a universal language - a form of Quechua, a religion worshipping the sun, and a 14,000 mile-long road system criss-crossing high Andean mountain passes and linking the rulers with the ruled.